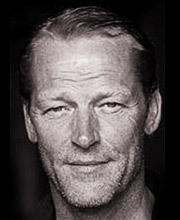 Iain Glen’s television credits include Downton Abbey, Spooks, Game of Thrones, Dr Who and Law and Order. He has also worked extensively in film and is known for his roles in The Iron Lady, Resident Evil: II & III, Kingdom of Heaven and Lara Croft: Tomb Raider. He won the Silver Bear for Best Actor for his role in Silent Scream and was nominated for an Olivier Award for his performance in the play The Blue Room opposite Nicole Kidman. Other theatre appearances include Uncle Vanya, The Crucible, Hedda Gabler, Henry V, Macbeth, King Lear, Hamlet and Edward II.